Pokémon Day might not be something you can find on your calendar ? unless you have a Pokémon calendar, in which case it probably is highlighted, bolded and a few other things besides ? but it is an actual, honest to goodness thing that is happening on Tuesday, February 27. We're pretty sure it's a worldwide holiday, so hooray pocket monsters for bringing us all together. In any case, Pokémon Day 2018 is going to feature a number of different ways to celebrate the unstoppable juggernaut of a franchise, some of which will affect a certain game you might still be playing on your iPhone or iPad and a couple of other apps as well. Here are the highlights. Big occasions for the Pokémon brand almost always get celebrated by a special in-game Pikachu, and this one is no different. 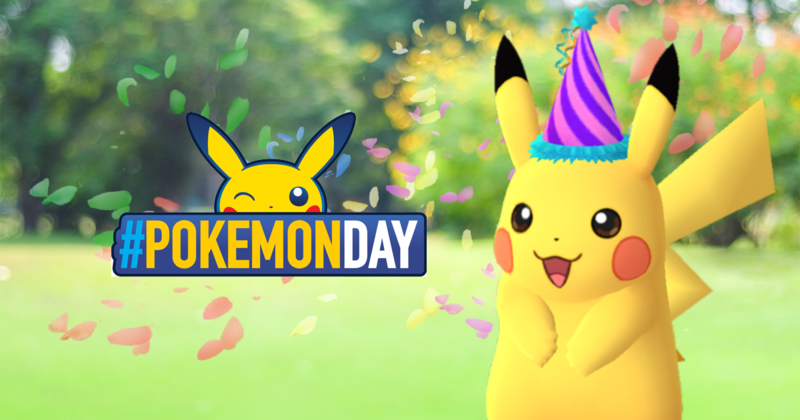 Starting on Tuesday and running through Wednesday, February 28 at 1:00 p.m. PT, Trainers will be able to find and capture a Pikachu with a "festive striped purple hat." Not only that, but this partying Pikachu will know the move Present and grant triple the normal amount of Stardust when caught. It's also worth keeping in mind that Pokémon Day falls within the game's current legendary week, where Kyogre, Groudon and Rayquaza can be found in Raid Battles. That means multiple reasons to be out playing Pokémon Go [Free] over the next few days, provided the weather is nice enough in your neck of the woods to allow it.